Canadian Insurtech, BOXX Insurance, introduces BOXX Academy—an online cyber security training program for businesses and their employees. BOXX Academy gives businesses of all sizes and industries access to cyber awareness training, tracking, and employee assessment. Cyber security training is an integral component of BOXX’s end-to-end solution, Cyberboxx™. Cyberboxx™ combines employee training, active cyber security, and insurance in one all-inclusive membership package. Learn more at www.boxxinsurance.com. Toronto Ontario, April 11, 2019: Strong cyber security is often associated with anti-virus protection and expensive security technology. But the weakest link is not software or hardware, it's human beings. Recent evidence shows that employee behaviour—be it clicking on a malicious link, or poor password safety—is responsible for more than two-thirds of cyber-attacks. Research also shows that security threats can be reduced significantly by providing the right cyber awareness training to employees. 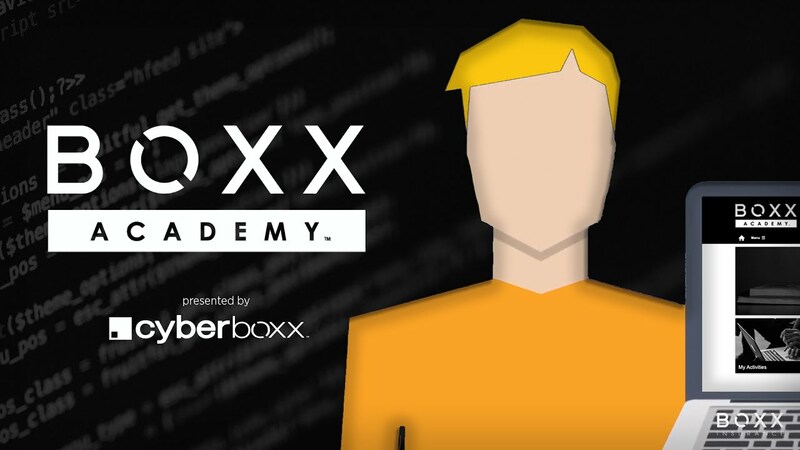 BOXX Insurance has taken the lead to provide its Cyberboxx™ members and their employees with leading-edge cyber awareness training through BOXX Academy. Built in an exclusive partnership with Hiscox, a Lloyd’s of London underwriter, the Academy is designed for small to mid-sized businesses. BOXX Academy is available exclusively to all Cyberboxx™ members as of April 2019 for a limited time only. The BOXX Academy combines videos and interactive material, as well as refresher modules, to help keep cyber security front of mind. Understanding that employees have limited time, training is spread across nine weeks and training modules can be accessed at regular intervals. saving time for employees while reinforcing key messages. Each BOXX Academy training module also features diagnostic assessments to test existing knowledge and ensure that training is tailored to their specific knowledge gaps. Employees take a brief assessment to test their understanding and identify which modules they need to complete. Every module finishes with a test and cannot be passed until the assessment has been successful. Regulatory change is another key consideration when it comes to cyber awareness training. Luckily, BOXX Academy is designed specifically with your business's regulatory compliance in mind. BOXX Academy training covers topics such as phishing, social engineering, password safety, device protection, and social media use. The training platform is also accredited by the UK's intelligence agency responsible for cybersecurity, the GCHQ, and is offered in multiple languages, including French and Spanish. BOXX Insurance Inc. is a new type of insurance company for a new type of risk. We work closely with the most respected insurance and technology partners to provide solutions that help small business clients manage their total risk exposure – starting with cyber risk. Our flagship product, Cyberboxx™, is the first fully-integrated cybersecurity and insurance solution for small-to-medium-sized businesses. With Cyberboxx™, businesses can stay ahead of cyber threats, respond to attacks, and re-secure their business faster and more cost-effectively. Cyberboxx™ products are available currently through insurance brokers and affinity partners in Canada, Latin America, and Singapore. To learn more, please talk to your local insurance broker or visit us at www.boxxinsurance.com. ALL RIGHTS RESERVED. COPYRIGHT © 2018 BOXX INSURANCE INC.